What is an Alaska Living Will? Alaska Living Will: What Is It? An Alaska living will is often referred to as an advanced directive. This form is part of the estate planning process. 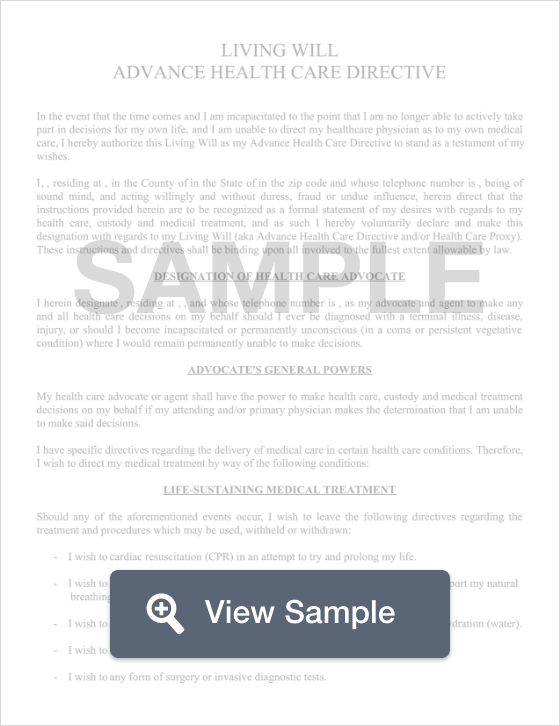 You use this document to explain your wishes for medical care in the event that you become unable to make those decisions. You also name someone to make decisions on your behalf. The person you name cannot be an owner, operator, or employee of a healthcare facility where you are being care for unless you are related to them through marriage, blood, or adoption. An Alaska living will must be signed by two witnesses. If you give your health proxy permission to plan your burial or cremation, it must also be notarized. AS 13.52.010: Alaska’s Health Care Decisions Act regulates the creation and use of Alaska living wills (also referred to as advance health care directives within the law). It is important to note that under the law, a healthcare provider may choose to not honor the directives of the surrogate (the person named to make decisions) if they believe the surrogate isn’t acting in the best interest of the patient or following the patient’s wishes. An Alaska living is only used to make decisions on your behalf if you are unable to do so. To ensure that your assets are distributed to your heirs in the way that you’d like, make sure that you complete an Alaska last will and testament.